What to think about the SpyHunter 4 antispyware software? I had some doubts about the SpyHunter. The SpyHunter Malware Security Suite is published by Enigma Software. Although the SpyHunter is growing in popularity, is the publisher relatively veiled in obscurity. Enigma is not a typical antivirus brand name and has not an established, impeccable track record like Kaspersky. Enigma Software has been accused of conducting aggressive advertising and has not issued the SpyHunter 4 for testing at AV-Test and AV-Comparatives. These facts are potentially problematic for the credibility of the SpyHunter spyware removal software. But the competition is fierce and competitors are known for conducting smear campaigns. So we should be careful to judge to fast. Let’s discuss this further in this Spyhunter review…. So, why is SpyHunter 4 very interesting? Why should I test it? SpyHunter’s popularity is based on some interesting facts. The SpyHunter is indeed a specialist and it does much more than just fuction as one of the best spyware removers. 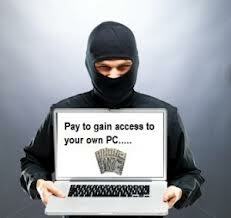 It is a complete antimalware and internet security package. In this respect, comparable with a complete internet security suite of a top-brand. SpyHunter is very effective in removing one of the most complex forms of malware: rootkits and ransomware. Rootkits are capable of avoiding detection by manipulating the operating system at base level and file encryption tactics. The SpyHunter is in deed one of the few specialist that is able to detect, obstruct and remove the activities of rootkits. Most antivirus products do not provide sufficient protection against rootkits and are not able to detect them, the SpyHunter does indeed an impressive job. Ransomware locks your computer and forces you to pay money in order to regain access. SpyHunter is Checkmark Certified by West Coast Labs and holds the Platinum Product Award. To receive this level of West Coast Labs validation means that SpyHunter has performed well in various tests that show what it can do, in benchmarking tests as well as real-world testing over time. Engima seems to have matured so that the SpyHunter is no longer considered rogue or suspect. According to Enigma Software the reputation of the company and software have been under attack. Misinformation on the internet with regards to Engima has created some problems for initial credibility of the SpyHunter antimalware software. According to me, Enigma Software has a point and the SpyHunter is indeed a very interesting alternative. I would consider my readers to use this software as a ‘second-opinion’ malware scanner, in particular if you are not using a premium internet security solution of a top publisher like Kasperky or Bitdefender. Another positive point is with regards to SpyHunter is the excellent support. SpyHunter does not claim that it can remove all types of rootkits, but provides remote removal support. Technicians can take remote control of your computer and eliminate the pest. This is a service which almost no other publisher provides. It is an important added value that can save you a lot of money and time in case you are dealing with a complex malware like rootkits or even worse ransomware. Does my computer contain a rootkit or other malware? Looking for local and international SpyHunter Reviews? I have looked some up and yes, SpyHunter has received many excellent reviews on different sites in many countries. The most famous media channels that mention the force of the SpyHunter software are CNN, Forbes, Cnet, PC World, CNBC, The Wall Street Journal, ZDnet….etc. But also smaller blogs in countries like Spain ¿Cómo funciona SpyHunter?, Brasil SpyHunter 4 France Critique de SpyHunter , Holland SpyHunter Recensie and Italy SpyHunter 4 make mention of this software. Also on Youtube you can find many reviews on the SpyHunter. Enigma Software has published a very, very powerful malware security tool that is able to detect and remove the most complex malware forms. We hope the SpyHunter soon will be tested by AV-Test and AV-Comparatives so we can see how the SpyHunter compares exactly with the top of the line of the security software spectrum. I would like to know if the Spyhunter can compete with Kaspersky. I’m still using Kaspersky’s software as my standard protection and I use the SpyHunter as a second-opinion malware scanner. 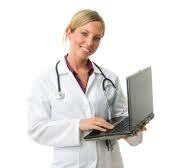 Anyhow, the software has a vast amount of great media references and testimonials. Despite the initial hesitation, I definitely can recommend you to test the SpyHunter on your on system and use it as a second-opinion malware scanner. Something I forget to mention is that the SpyHunter is extremely effective in detecting and removing all kinds of adware. Learn here more about the SpyHunter. Next PostNext WHAT IS THE BEST MAC CLEANER?